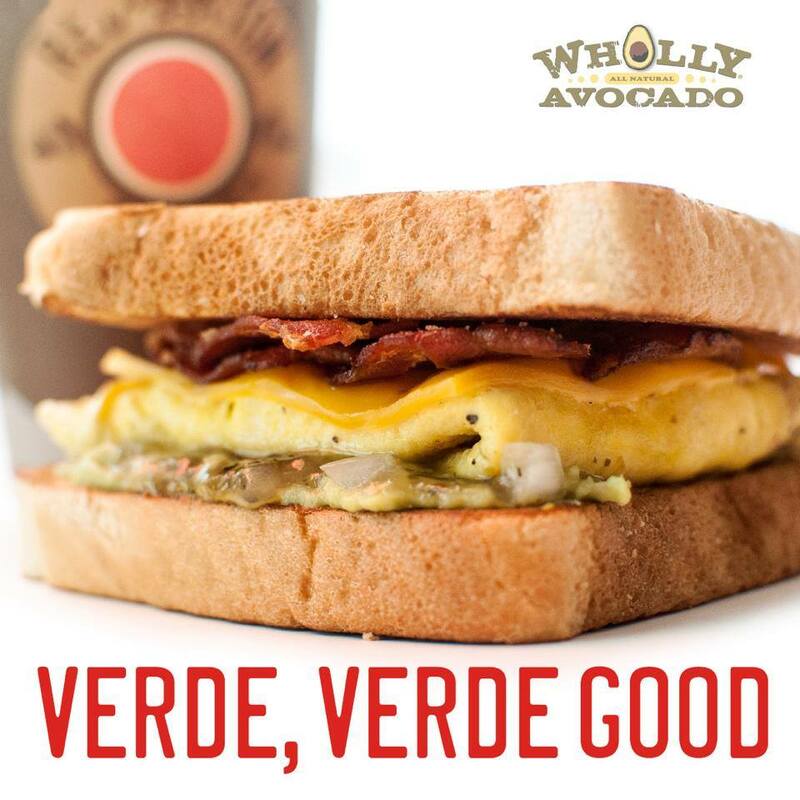 SONIC Prize Pack Giveaway + New Salsa Verde Breakfast Foods! UPDATE: This giveaway has ended. Winner is #16, Ashley. My youngest child is 3.5, and when I was pregnant with her I could not get enough Mexican food. I would save tacos from dinner to eat for breakfast the next day, and I can clearly remember trying guacamole for the first time during that pregnancy. I can especially remember thinking “what the heck took so long? !”, because, YUM! During that time I also discovered Wholly Guacamole® products, and they are now regulars in my grocery cart each week. That’s why when SONIC approached me about reviewing their new, limited time Salsa Verde breakfast products, I jumped at the chance! 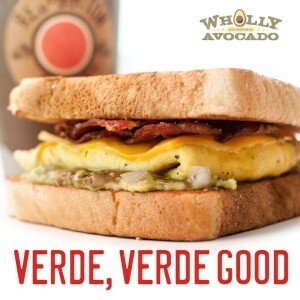 The Salsa Verde Breakfast Burrito and the Salsa Verde Breakfast Toaster® sandwich debuted at the end of December, and both the toaster and the burrito are finished off with Wholly™ Avocado – all-natural, 100 percent Hass avocado brought to you by the makers of Wholly Guacamole® brand, America’s number one selling guacamole. The Salsa Verde Breakfast Toaster is made with bacon, salsa verde, eggs, onions and melted American cheese, sandwiched between two slices of Texas Toast. The Salsa Verde Breakfast Burrito is comprised of the same savory, quality ingredients, as well as melted cheddar cheese and Sonic Drive-In’s signature Tots, all wrapped in a warm flour tortilla. I love to start my morning with a savory breakfast and the burrito and toaster both fit the bill. I’m not a fan of super spicy food, but the salsa verde (fire-roasted tomatillos, onions, jalapenos and roasted garlic) only added a bit of heat to the finished product. The cool, creamy avocado helped to tone down any spiciness that I might have found overwhelming and was the perfect addition to these sandwiches! The Salsa Verde Breakfast Toaster and Breakfast Burrito are only available at SONIC for a limited time, so be sure to swing by soon and taste their yummy goodness for yourself! WIN IT! 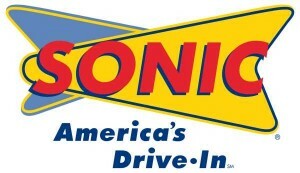 1 lucky winner is going to receive a SONIC prize pack filled with goodies from SONIC and Wholly Guacamole®! 1 winner will receive a $20 SONIC Gift Card, a SONIC backpack with SONIC goodies, and 5 vouchers for a FREE Wholly Guacamole® brand product! Disclosure: This giveaway is sponsored by SONIC. Opinions expressed here are strictly my own. View my disclosure policy here. I love Route 44 Dr. Pepper and grape slushes! Yum! I love the sonic burgers :3 and breakfast burritos!!! I love the breakfast burritos and a nice hot coffee from Sonic to start my morning. I love Sonic’s sundaes! They are the best! Tater tots! At least those were my favorite the last time I went, which has been much too long ago. My favorite Sonic food is their mozzarella cheese sticks! yum! I love their cherry limeades! I love their strawberry milkshakes. I like their Breakfast Burritos with Bacon, the mozzarella sticks and especially vanilla Dr. Pepper! I haven’t really had anything that I disliked, ever! Currently a e-mail newsletter subscriber. Their Chili Cheese Tots are my favorite menu item! I like the Stretching a Buck Facebook Page. I love their hot chocolate shakes, cherry limeades and bacon cheeseburgers. They are my favorite. Thanks for the chance to enter. I really love their tater tots and slushie drinks. I’m a long time email subscriber. I like their Cheese Tots. Lemon berry slush and popcorn chicken. Lemon Berry Slush – so good! I love sonic’s foot long chili dog, yum. Favorite item is a foot-long hot dog with mustard and onions followed by a banana split! I’m subscribed via The Old Reader. My favorite menu item aside from the coney dogs, is the tater tots. They are the only chain that I am aware of that has tater tots, so I get an order every time I go. I like the New York Dog the best! I love love love the Chicago Dog! Even better with some tots! I like it all, love the tator tots with cheese and chili and also love the breakfast croissant and toasted sandwhiches. I like the Fudge Brownie Molten Cake Sundae. I like the Chicgo Dog! It’s so good! Whoops–scratch the last two comments. I realized I already entered earlier. sorry. my favorites are sonic popcorn chicken and footlong chili dogs with pickes in it and sonic have the best tots in the world.